The Digital Economy Bill in the UK could well wipe out free public Wi-Fi access in universities, libraries and independent cafes across Britain, if new reports are to be believed. Some British legal experts think that the penalties associated with failure to comply with the new requirements of the Bill might well mean that independent caffs, universities and local libraries may face huge liabilities – and thus that it would be safer for them to simply switch off un-password protected free Wi-Fi access for their students, visitors and customers instead. 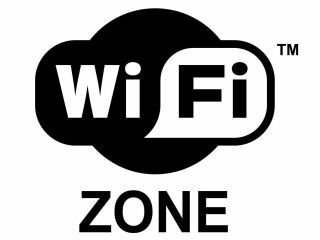 Lilian Edwards, professor of internet law at Sheffield University, told ZDNet that the Bill will effectively "outlaw open Wi-Fi for small businesses." She continued: "This is going to be a very unfortunate measure for small businesses, particularly in a recession, many of whom are using open free Wi-Fi very effectively as a way to get the punters in. "Even if they password protect, they then have two options -- to pay someone like The Cloud to manage it for them, or take responsibility themselves for becoming an ISP effectively, and keep records for everyone they assign connections to, which is an impossible burden for a small café." You can see more on the scenario described by the Department for Business, Innovation and Skills (BIS) in this explanatory document. Lord Young, a minister at BIS, says libraries can not be exempted because "this would send entirely the wrong signal and could lead to 'fake' organisations being set up, claiming an exemption and becoming a hub for copyright infringement". And as for universities, Lord Young adds: "it does not seem sensible to force those universities who already have a system providing very effective action against copyright infringement to abandon it and replace it with an alternative". However, "[Universities] don't know if they're subscribers, ISPs or neither," argues legal expert Lillian Edwards. "If the government is not clear, how on earth are the universities supposed to respond? This seems almost unprecedented to me, for a government document."